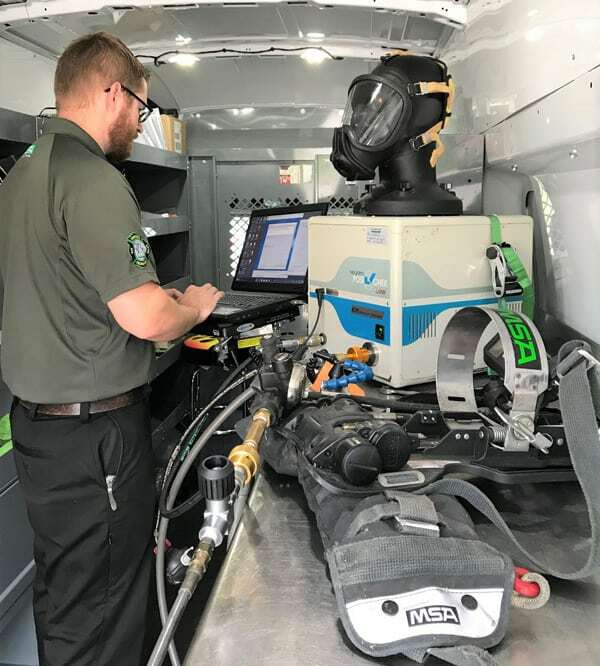 Self-Contained Breathing Apparatus (SCBA) – Sentinel Emergency Solutions is the authorized dealer and service center for MSA Health and Safety in Missouri and Illinois. 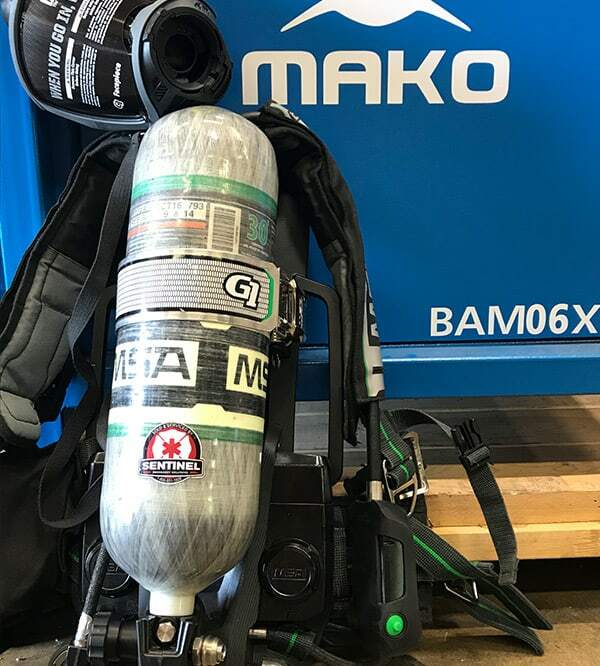 Whether your SCBA’s are brand new or are 20 years old, we can repair ANY MSA SCBA. 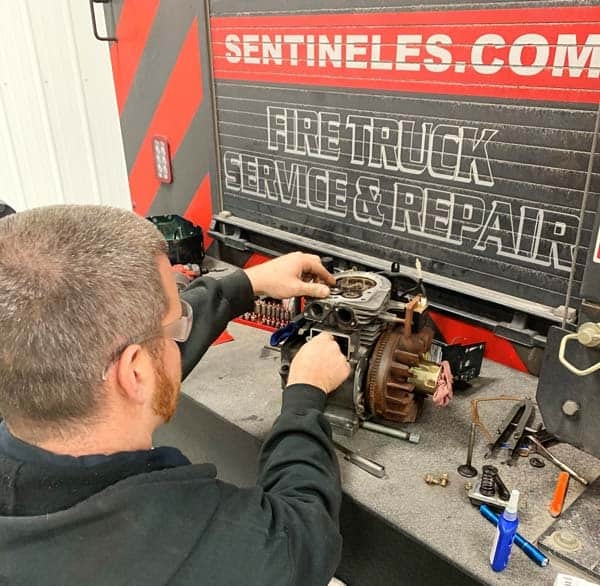 All Warranty and NON-Warranty repairs can be done by Sentinel at your engine house or in our service center. Our Five (5) C.A.R.E. Certified Technicians can perform the following services either at your location or at our Authorized Service Center. Warranty & NON-Warranty MSA repairs. Face Piece Lenses, gaskets, headsets, etc. All respirators that rely on a tight-fitting mask to face are to be annually checked to determine whether the mask provides an acceptable fit to the wearer. 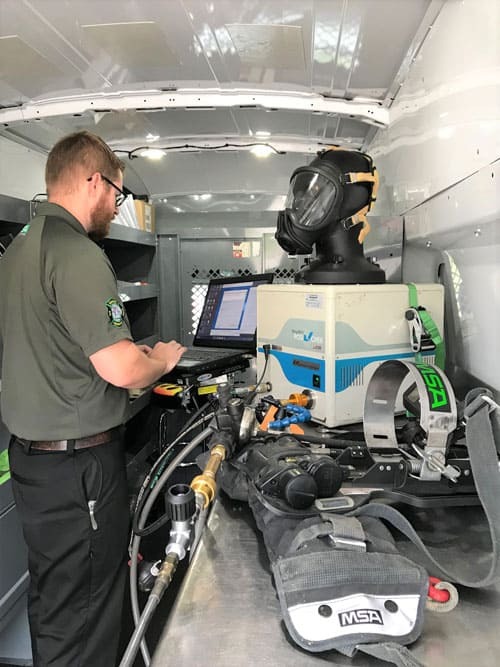 NFPA mandates that all compliant SCBA be tested on a calibration breathing machine before being put in service and at least once per year thereafter. 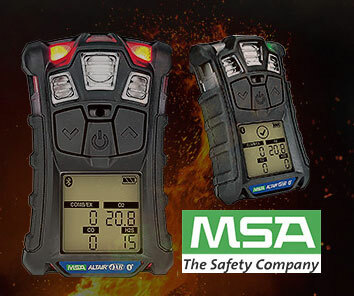 Sentinel Emergency Solutions is the authorized dealer and service center for MSA Health and Safety in Missouri and Illinois. Our Three (3) R.I.T.E. Certified technicians can perform the following services either at your location or at our Authorized Service Center. for proper calibration and use. 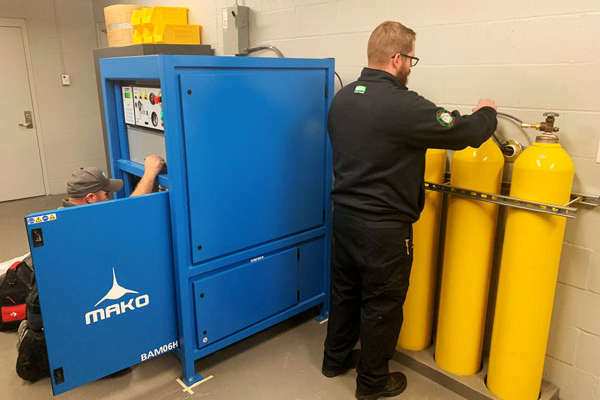 Sentinel Emergency Solutions is the authorized dealer and service center for MAKO Compressors in the states of Missouri and Illinois. Our four certified MAKO Technicians can perform the following services at your location. 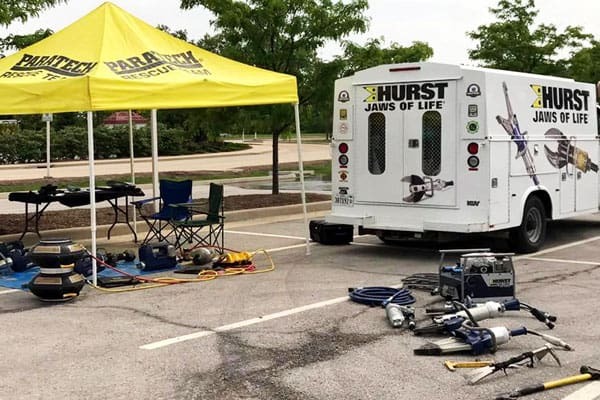 Sentinel Emergency Solutions is the authorized dealer and service center for Hurst Rescue Tools in Missouri, Illinois. 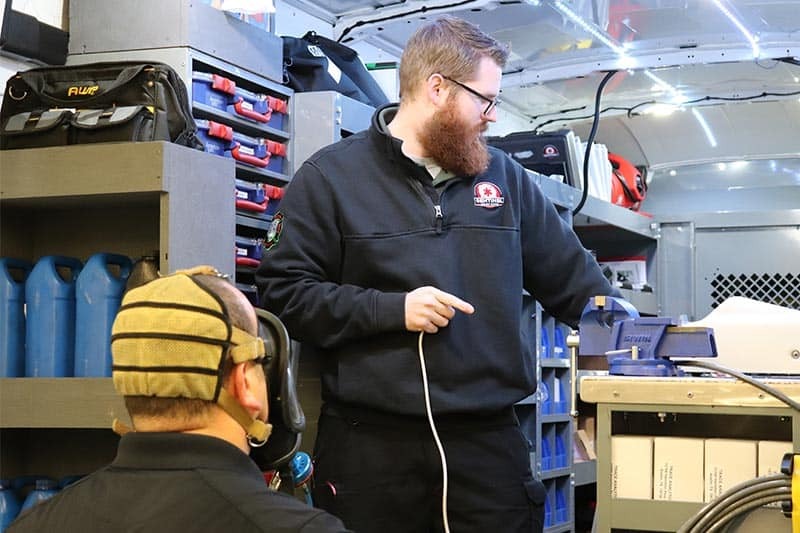 Our mobile Technician has a fully stocked service vehicle that allows us to give you high-quality service at your location. Replacement of hoses, fittings, O-rings, gaskets, etc. Lubricate pivot points, bushings, and links. 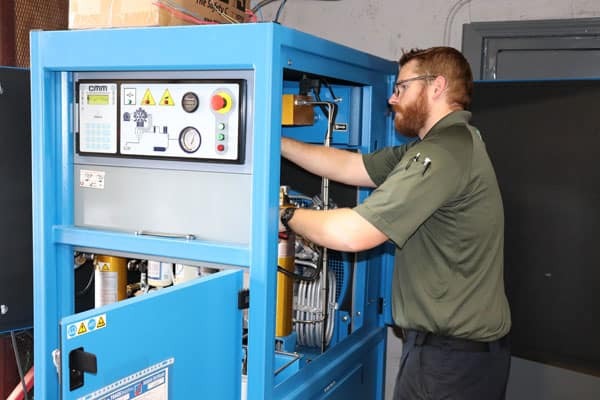 Sentinel Emergency Solutions repairs all brands of gas- or diesel-powered equipment. Can’t find anyone to fix your small engine equipment on the truck. Call us, we’ll take care of it! 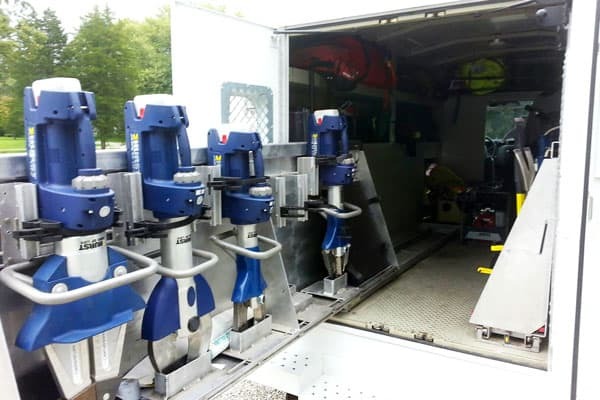 Sentinel ES has three fully stocked mobile service vans that are capable of performing multiple repairs at your department’s location. 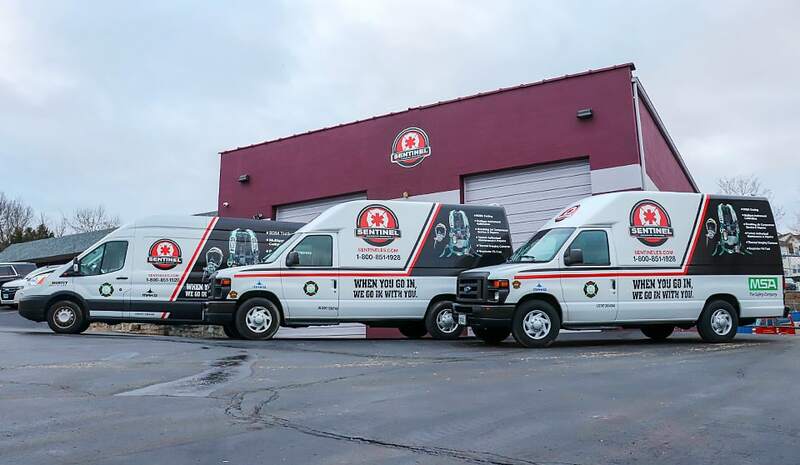 These trucks are dedicated to SCBA, Compressor and Gas Detector repairs only. We are currently located in Arnold, Missouri approximately 20 minutes south of downtown St. Louis. We have a full-service facility ready to service SCBA, gas detectors, and compressors.